You're a multifaceted game aficionado, so why not appeal to all of your sides? 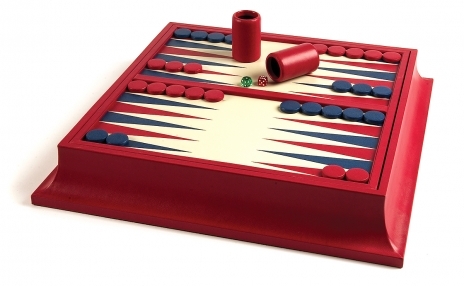 With this tabletop collection from legendary gaming house Geoffrey Parker, you can indulge your every whim, be it chess, checkers, or backgammon. Reversible hand-inlaid game board is made from exquisite Dauphin leather, with remarkably detailed hand-hewn leather points and field, scallop-sided plinth, and a supple suede-lined storage area for game accessories. This exclusive set comes with all you need for every game in the catalog, including leather-swathed dice cups with lipped rims to prevent foul play, quality chessmen, stones, precision dice, and a doubling cube. The Prestige Edition comes with "Club 3.75" chess pieces, an entirely midnight-black felt-lined interior, and 1.5" diameter acrylic Backgammon stones, all available in your choice of colors. 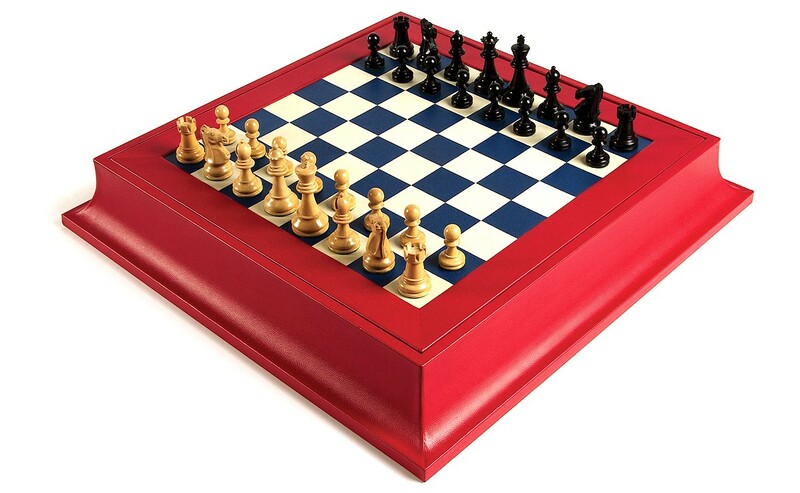 The Championship Edition has Collectors' Chessmen and heavy weighted leather Backgammon stones, also available in a custom colors.